Jeremy Dyson is the member of The League of Gentlemen team who doesn’t appear on screen. He’s also the co-writer of the stage hit Ghost Stories, a deeply unsettling play in the ‘portmanteau’ format beloved of British horror films of the 1960s and 70s, in which several separate stories are told within a overarching narrative. Like his fellow Gentlemen Reece Shearsmith and Mark Gatiss, Dyson seems to have a frame of horror interest that’s incredibly similar to my own, heavily influenced by pre-1975 films, short story anthologies and slightly cheaply-produced books called things like ‘The Hamlyn Book of Ghosts’. If he’s got a pack of vintage Horror Top Trumps knocking around, used to collect Armada Ghost Books, always chose the Dracula ice lolly and got Shiver & Shake annual for Christmas every year, he’s probably just me in a parallel universe in which I am inexplicably a successful northern male writer. 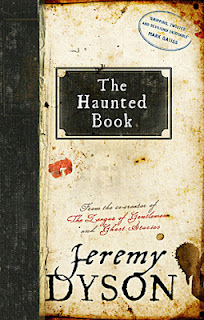 The Haunted Book, then – also in the ‘portmanteau’ format, and presented as a work of non-fiction in which Dyson is commissioned by the mysterious Aiden Fox to compile a collection of mostly contemporary British ghost stories – should by rights have been the perfect read for me. And, as I would have expected, a lot of it did certainly resonate with me. Each story-within-the-story (and there are many) is a gem. Some of them are ghost stories in the conventional sense. A man is haunted by a ghostly voice from a disconnected phone, for instance, and an evil spirit stalks an old library. Some of them, however, are something different, and ultimately more unsettling: the one that has continued to nag at my subconscious since I finished the book over a week ago features no actual ‘ghosts’ at all, but rather a family trying to find an abandoned amusement park they once visited but have never been able to locate again. It’s a story where what remains unsaid and unexplained is more disturbing than what is. And most – perhaps all – the stories have a strong psychological undercurrent that suggests that what we’re really frightened of most of all is ourselves. There’s more to The Haunted Book than just a collection of stories. However, it’s almost impossible to go into much detail about what is arguably the most interesting aspect of the book without giving away the end, and the experience of reading it does rely somewhat on that end coming as a surprise. It’s probably enough to say that the title of the book is no accident, as Dyson (in his fictional guise as the protagonist, at least) discovers books within books within books, all written by authors with curiously significant names. Those who went to see Ghost Stories may remember what happens to Dr Goodman, the rationalist sceptic and professor of parapsychology (played by Andy Nyman in the production I saw) who tells the stories themselves, and also the degree to which the audience were drawn into the production. Perhaps elements of The Haunted Book will come as less of a surprise to them. Without giving any further explanation, I’ll just say that while the end of The Haunted Book is undeniably a clever one that elevates the book above a straightforward ghost story collection, I also found its high-concept artifice a little distancing. The element of the novel that’s supposed to really draw the reader in was, for me, the very thing that made me feel as if I was taking a step back and losing contact with the chilling undercurrent of the book overall. Perhaps the fault lies with me, and I was too busy looking out for it, too keen to analyse. But all that said, I can’t help but admire the way Dyson brings the novel together at its conclusion for its sheer ingenuity. It's an ending that will stay with me for some time, and I suspect it will stand up to repeated re-readings. 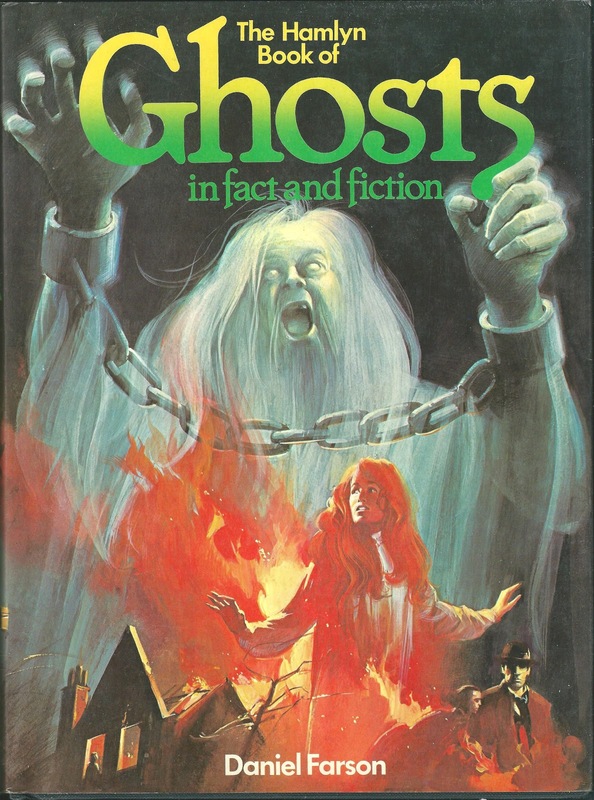 If you have even the slightest interest in ghost stories, I'd recommend The Haunted Book. And if you’ve read it, do let me know what you think.